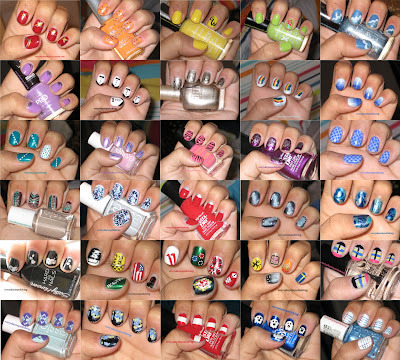 Here are the nails I have done for the past 30 days for the 31 day nail challenge. Day 31 is recreating your favorite challenge. The way I'm going to interpret this is that I can do any challenge over again, rather than recreating the nails I did for that challenge. Check back tomorrow to see what I decide to do! I can't believe it is already the last day of the challenge!